Sunday 12th May 2019. 10am until 4pm Entry £4, children under 12 free. - Craft Fair visitors enjoy the sunshine! 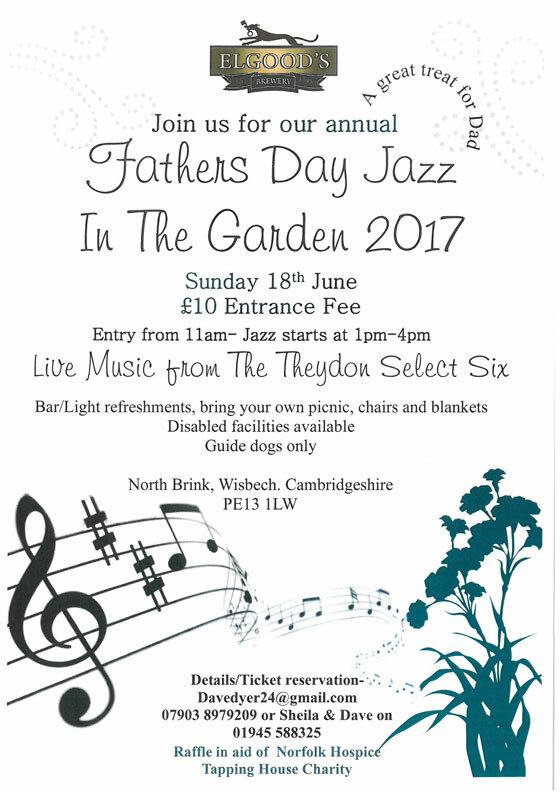 Come and join us for the 2017 Annual Fathers Day Jazz in the Garden. Sunday 18th June, at Elgood’s Brewery Gardens, Wisbech, Cambridgeshire.